Welcome to Stafford House Calgary! Our Calgary school is located in the main business district, in a ‘no pay’ train zone, which international students love. 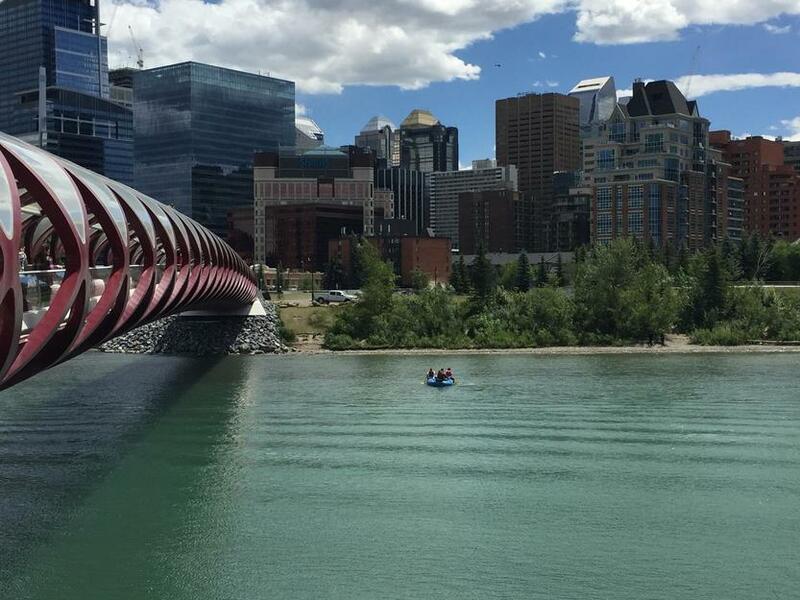 It is also close to Calgary Tower, the Calgary Central Library and a huge indoor shopping complex, a unique indoor tropical park, theaters, cinemas and restaurants. Renovated in December 2017 it features 10 classrooms and can handle up to 120 students. Students in Calgary enjoy a smaller, close knit environment and an authentic Canadian experience. Why choose Stafford House Calgary? I think Omnicom is a good school. Because have good teachers until now I think that because I am here for a month. My favorite teacher is Kiran, I like the location because it is in a place that has many shops close by. The activities at Omnicom are good for learning English. I like Omnicom because it has excellent teachers and has a great method of teaching. My favorite teacher is Kiran, she is very patient and beautiful and a good teacher. I like Omnicom because it is a nice school. I like the activities. I have friends from all of the world, and I believe when I am finished Omnicom I can speak good English.